The best in the business for 45 years. and offer carefully selected housing stock. For over 45 years, we’ve helped 1000s of customers with removal projects, lifting projects and repiling homes to the highest industry standards. We meet our deadlines and exceed expectations. Whether your project is small or large in scale, we can provide you with a brilliant, stress-free service so that your building is in safe hands. We carefully select our housing stock and offer an all-inclusive price to move one of our quality houses to your site. We have over a 100 years combined experience on our team. We are hardworking and dedicated to achieving great results for clients. We have spared no expense with our high-end equipment, ensuring it is top-of-the-line and will always get the job done perfectly. When Andy came to us to find a second dwelling for his section, he needed something of a certain size because of the tricky access and his driveway. He found something in our yard that he loved but didn't how it would be possible to get to his site. Thanks to our many years of experience and expertise, we manoeuvred it down his long driveway without any issue whatsoever. 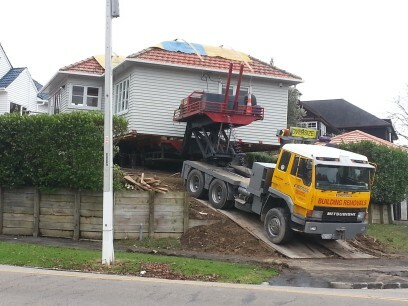 When Megan came to us to move a house from Auckland to Rodney, she was unsure of how it would be possible to move the house off its original site. After a site meeting, we explained exactly how it needed to be done. She trusted us, we put our plan into action, and she was delighted with the great result we achieved for her. 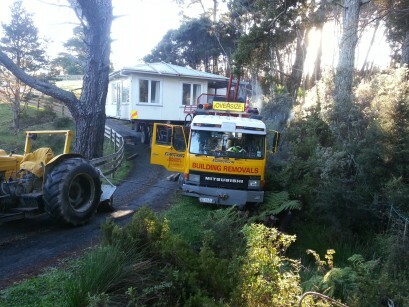 I was convinced that it would not be possible to get a house up my drive in one piece but they did it in style! Took 4 hours of careful manoeuvring and skilful adjustments but it was obvious that these guys really know their stuff. A very impressive service from start to finish and I wouldn't hesitate to recommend them to others. Thank you all for the fantastic planning and perfect house delivery on a blustery windy night to the coast. What a great team! Your experience and expertise in delivery, site preparation and quietly getting on with a big job with a minimum of fuss and bother was inspiring. and friendliness of your crew and the work they did. Eurovision were the most competitive with pricing, easy to work with and were the only company prepared to move the house intact, as one piece. The team were friendly, hard working and performed well together as a unit. Thanks for the great work, really happy with the house and work you guys have done. Mark and I are both thrilled to see the house on site in Whangarei and are extremely impressed with the professionalism of your team. Let us put our knowledge, experience and top of the line equipment to work for your home or next development project. Start with a free quote.